Produced with milk from our 450 patron family dairy farms, certified to be free of added growth hormones, Ellsworth Cooperative Creamery’s Ellsworth Valley cheese line offers today’s consumer a delicious, healthy alternative in the retail dairy or deli department. We combine the highest quality ingredients, with our 100 years of cheese making experience, to produce these delicious natural cheeses. Many shoppers choose to buy dairy products that are produced from milk free of added growth hormones. 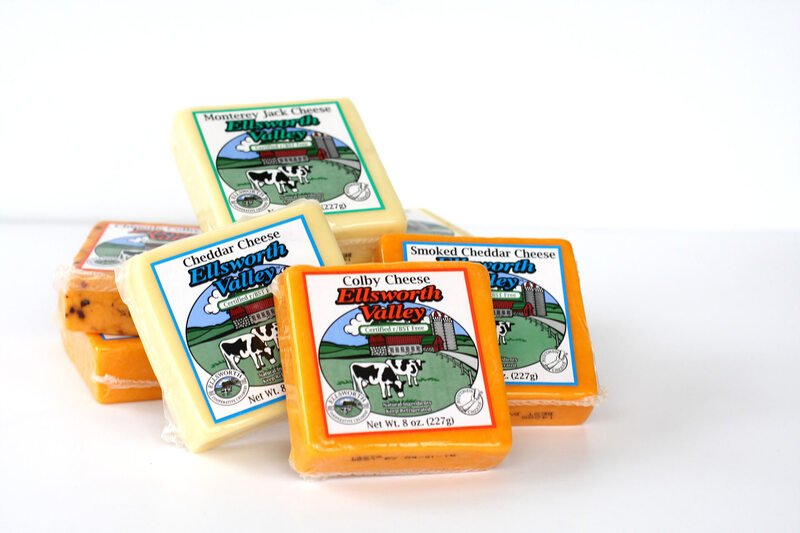 Ellsworth Valley cheeses meet this need by offering a quality cheese, delicious flavor and attractive wholesome packaging certain to stand out in any dairy or deli case.